Dr. Mendoza graduated from the UCLA School of Medicine where he excelled and served as vice-president of his class. Upon graduation he was awarded the John Adams Oustanding Student Award, Merck Service Award, several Letters of Distinction and teaching awards. He pursued training in Internal Medicine/Pediatrics: a highly competitive and demanding residency program that compacts what normally takes six years of training into four years. Dr. Mendoza was then selected to train in adult cardiology at Cedars-Sinai Medical Center, one of the top cardiology training programs in the country. 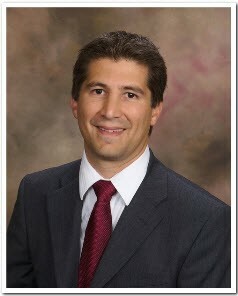 Dr. Mendoza is an expert in cardiovascular imaging and the director of our echocardiography and nuclear laboratories. During his training at UCLA and Cedars-Sinai Medical Centers he had the opportunity to see many patients referred from other areas in Southern California often with incorrect or unknown diagnoses. In most cases it was a result of improperly read cardiovascular tests and this motivated him to focus on cardiovascular imaging. In 2008 he became the first cardiologist on staff at either Long Beach Memorial or Los Alamitos to be have been board certified in echocardiography. While most cardiologists can read echocardiograms, Dr. Mendoza has achieved the level of certification expected of imaging cardiologists at institutions such as UCLA, Mayo Clinic, etc. In addition, he is the only local cardiologist to have published in national journals in the field of carotid ultrasounds. In addition, to his expertise in echocardiography and carotid ultrasounds he is one of a few cardiologists in the country to be trained in nuclear cardiology by the developers of the software used to process the images. While every test has its limitations, his expertise has made our nuclear laboratory the most accurate and premier site in the Long Beach and Los Alamitos areas. Among many advances he brought to our laboratory, Dr. Mendoza pioneered changes that dramatically reduce the amount of radiation used during our nuclear stress testing and avoid artifacts commonly seen in other laboratories. Soon after his arrival, Dr. Mendoza’s expertise was rapidly recognized by local cardiologists and hospitals and was recruited to be the Director of Cardiovascular Imaging at Long Beach Memorial. As part of this position, he oversees cardiac imaging education and training of UC Irvine cardiology trainee's. His knowledge and passion for teaching have awarded him a Golden Apple Award as the most outstanding teacher on three separate occasions. In addition to his expertise in cardiac imaging Dr. Mendoza has outstanding command of all fields of cardiology. During his training he was mentored by national experts in the fields of atherosclerosis, heart disease in women, preventative cardiovascular disease, heart transplantion and advanced heart failure, arrythmias including atrial fibrillation, diseases of the aorta, valve disease, congenital heart disease, cardio-oncology and interventional cardiology. Despite all of his honors and achievements, Dr. Mendoza prides himself in his ability to simplify heart disease for his patients and communicate at their level of understanding. • Only local cardiologist to have been honored by the Orange County Medical Association as one of the top cardiologists in Orange County and only local cardiologist to have been selected as a top cardiologist by the every awarding organization. • As the only adult cardiologist in Orange County and Long Beach area with a board certification in pediatrics he has a unique knowledge and understanding of congenital heart disease.